When you’re trying to lose weight, going to the grocery store to select food is a gauntlet of temptation. Snack foods appear in practically every aisle, beckoning you to try them. 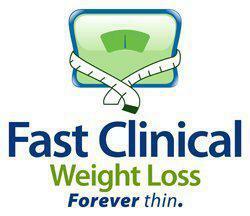 Gregory Oliver, DO, and the staff at Fast Clinical Weight Loss in Indianapolis, Indiana, understand. They provide you with nutrition counseling and more than 70 nutritious and delicious snacks in their three different nutrition programs. That makes your local grocery store much less tempting. Call or book an appointment online today to learn how the physician-directed nutrition programs can work for you. What is your approach to nutrition as part of weight loss? There’s no way to sugarcoat it: You are what you eat. For the majority of Americans, excess carbohydrates are the major culprit in weight gain. Grocery stores are full of processed foods laden with carbohydrates — potato chips, snack bars, crackers, and cookies. Most of these foods actually make you crave even more carbohydrates. There are a smaller number of individuals who respond better to a low-fat regimen — all a part of individual genetic makeup. The Fast Clinical Weight Loss staff places you on one of the eating plans that fits your weight-loss goal, your metabolic and hormonal function, and your taste preference. What are your nutrition programs? This program consists of three prepared meals and three portion-controlled snack meals daily. You receive approximately 1,200 calories per day with the right amount of protein, carbohydrates, and fat your body needs. With proper amounts of nutritious food at regular intervals throughout the day, you don’t get hungry. This program consists of five portion-controlled snack meals and one prepared meal, providing about 1,000 calories per day. You reach your optimal weight safely and rapidly. The Lean 7-900 program is the most rapid weight-loss program of the three, with seven portion-controlled snack meals that you eat every two and a half hours, consisting of approximately 900 calories per day. You get a break from preparing meals and going to the grocery store. Fast Clinical Weight Loss nutrition programs provide healthy portion-controlled snacks that you may use throughout the day between prescribed meals. If you don’t like a snack meal, you can bring back the unused portion of the package for an exchange. There are more than 70 different snack meals; you won’t feel deprived eating these flavorful snacks. What type of nutrition assistance is there after I reach my weight-loss goal? Once Dr. Oliver and your wellness coach help you achieve your weight-loss goal, you are on a sustainable eating plan that you can easily apply to your lifestyle. You'll likely join many other patients and often return to get those snack meals; they're amazingly tasty.